As a computer teacher, I am always looking for creative ways to use digital tools to help my students learn, and the MSIT program has introduced me to several. At my high school, we often utilize new instructional tools such as Thinking Maps, although the tools are usually paper-based so that all can use them even without regular access to computers. Because of my many years of experience working with computer software, both online and not, I am viewed as a technology leader at my high school. While I do not have a leadership title (or the pay), my opinions and ideas are often sought and I frequently assist in developing the technology skills of others. 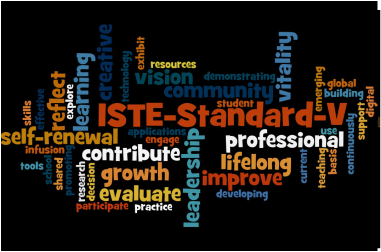 My progress in the MSIT program has had me researching and reflecting extensively and I believe these processes have increased my ability to be an effective teacher. While I have not as yet joined any professional organization, my advice and counsel is sought by many teachers within my high school, my district, and from other organizations, so I feel I do contribute. 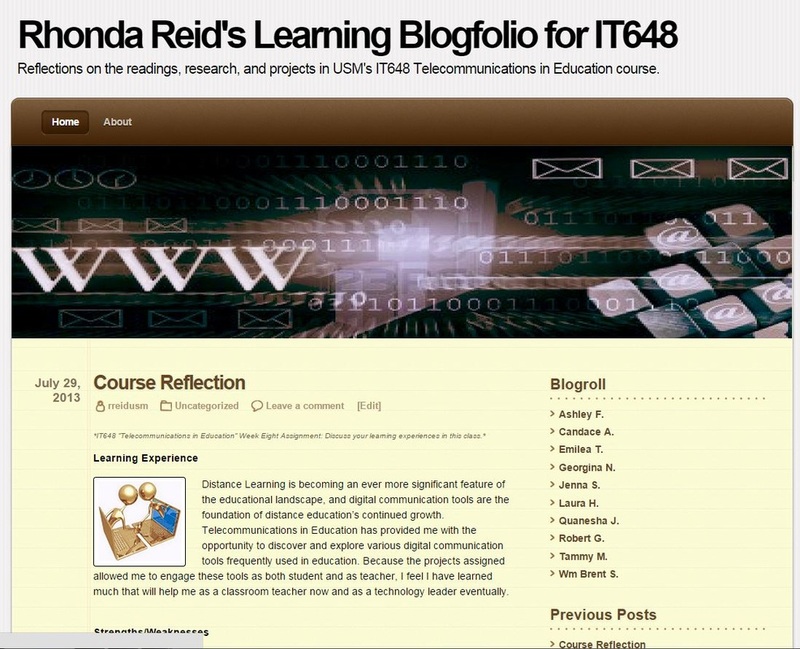 IT648 Blogfolio (Learning Community): The blogfolio created as I progressed through IT645 reflects my participation in a community of learners and the exploration of digital teaching tools. The BlackBoard collaborative project was interesting, but BlackBoard is not available at my school. However, once I complete the requirements to upgrade my license to the new endorsements, the Mississippi Department of Education will provide me a Canvas shell to use with my classes. Canvas is a similar product to BlackBoard. IT755 Website (Innovation): The primary project for IT755 Web Development & Assessment was to create a website using Adobe's Dreamweaver software. I had used ﻿Dreamw﻿eaver ﻿years ago, but this was my first time to create an entire website, from scratch, on my own. 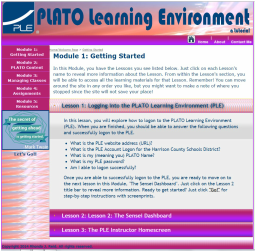 Since I use Edmentum's PLATO (a web-based curriculum delivery system) with my Course Extension Program at HCHS, I thought a tutorial for the teachers at my school might have future usefulness as well as meeting the assignment requirements. Click on the image to be taken to the website, which will open in a separate window. 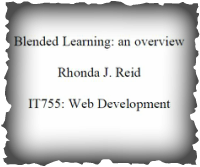 IT755 Blended Learning (Professional Research): Research into the blended learning or flipped classroom environments taught me a great deal about the justification and methodology behind this instructional method. Problems of accessibility and student responsibility still remain, but this method could be extremely useful. Click on the image below or on this bullet's heading to have my research paper open in a new window. IT601 Interview (Professional Practice): The interview assignment for IT601 gave me a detailed impression of the responsibilities of an IT professional at the university level. Click on the image below or this bullet's heading to read my interview questions and the interviewee's responses; will open in a new windo. IT569 Video (Contribute): New teachers, and many not-so-new teachers, at my high school have difficulties with some of the features in Microsoft Outlook. Since Outlook is the email service used by the district, not being comfortable with the email features can be problematic. I am frequently approached via email, by phone, and in person with questions about how to use some feature of Outlook. 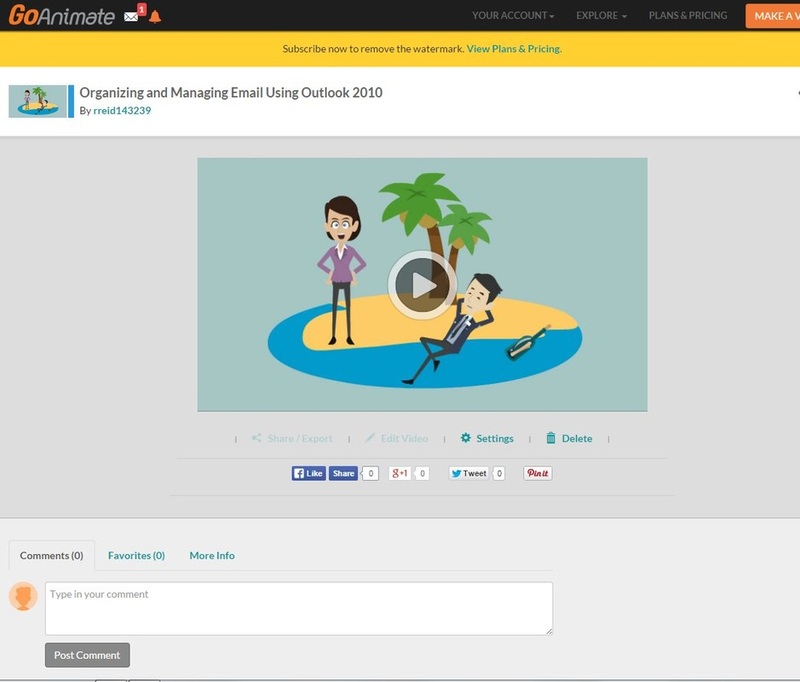 Videos such as the ones I created for IT569 can be very beneficial in assisting colleagues with questions about Outlook. Click on the image below or on this bullet's heading to view my video in a new window. I want to continue to grow in technology leadership potential, so I will continue to learn from leaders I admire, from professional journals and magazines I subscribe to, and from workshops and conferences when I am able to attend.